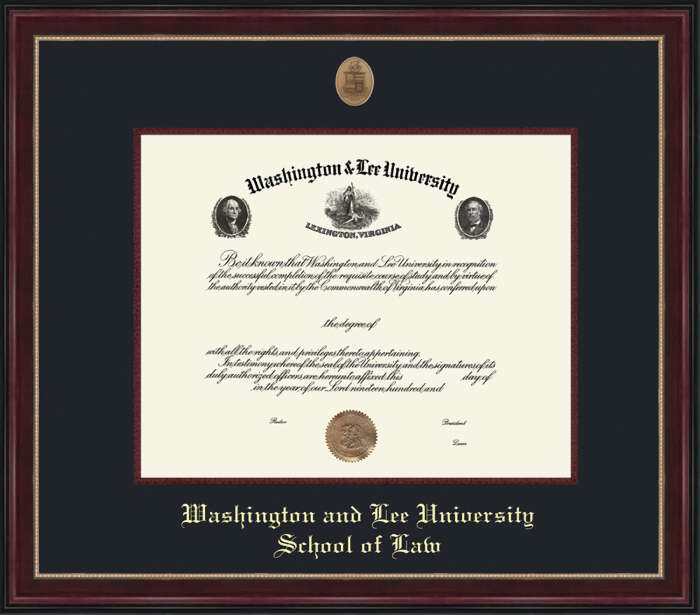 Washington and Lee University School of Law diploma frame with gold beaded wood outer mat, cherry wood inner mat, and gold embossing. Approximate frame size 21 x 24 inches. $30.00 Shipping Charge will be applied at checkout.